Step:-2 Select any one option and share this app link of your friend.. 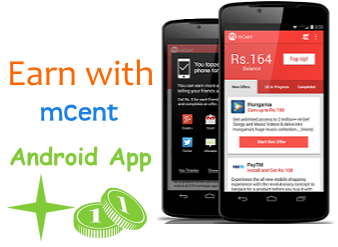 Step:-3 when your friend download this app from your shared link and register with your email and mobile number and download any one offer then you will get free recharge of Rs.50 . 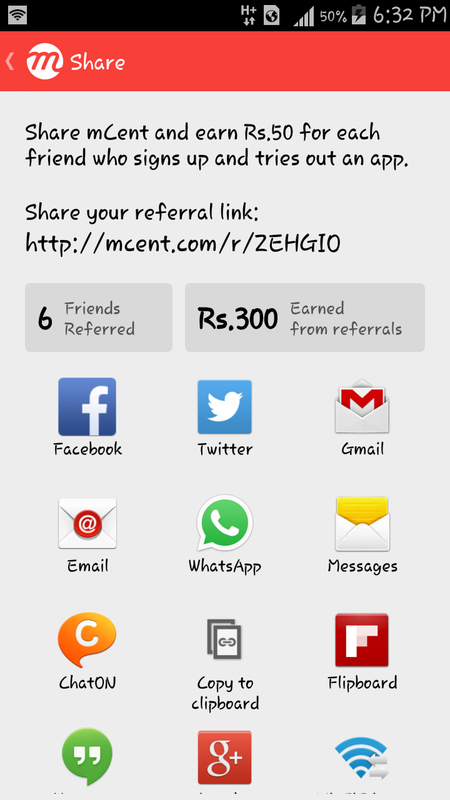 Note:- You will get free recharge when your friend download MCent app with your link and complete any one offers. 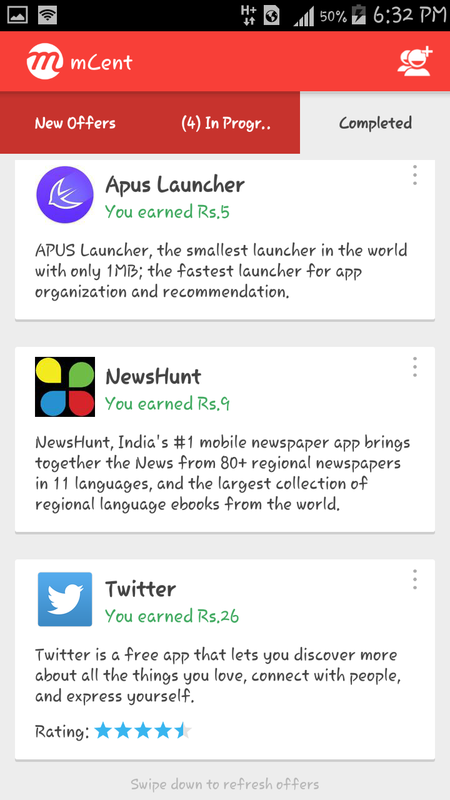 Step:- 1 launch this app and then click on new offers tab. Step:-4 After download open downloaded app for 30 second. Step:-5 After 30 second close the downloaded app.and return to MCent app. 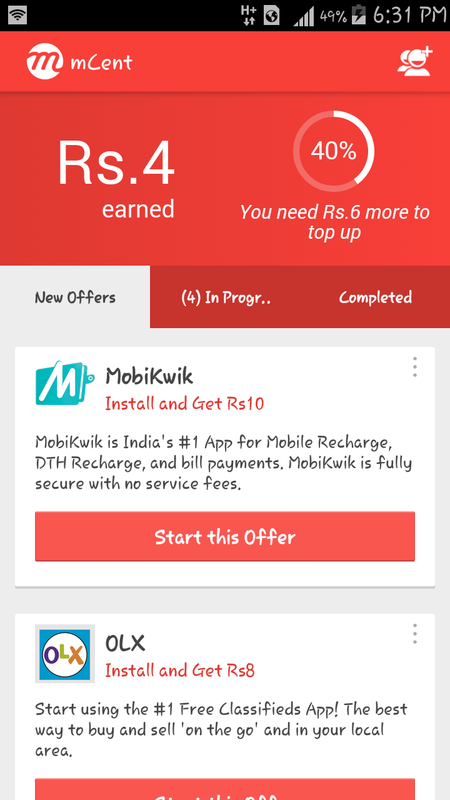 Step:-7 Complete any 6 rs offer and then click on top-up button and recharge your mobile number..